Bowling Green, Ky.— Nov. 19, 2018 — Vicki Fitch, the long-time executive director of the Bowling Green Area Convention & Visitors Bureau, received the Mangeot-Oaken Distinguished Service Award at the 2018 Kentucky Travel Industry Association Annual Conference. The Bowling Green Area CVB received an additional five Traverse Awards for Excellence in Tourism Marketing from the KTIA. The awards were presented on Nov. 14 during the Traverse Gala Awards Dinner, held at the Owensboro Convention Center. Fitch retires on Nov. 30 after a 27-year career with the Bowling Green Area CVB, serving for 14 years as marketing director before starting her tenure as executive director. She was nominated by several of her peers in Kentucky tourism, including Sherry Murphy, who started as the new executive director of the Bowling Green Area CVB on Nov. 12. In addition to Fitch’s honor, the Bowling Green Area CVB received five Traverse Awards for Excellence In Tourism Marketing. The CVB received a Silver Award for its Vette Adventure Press Trip for PR Campaign. 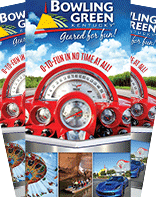 It won Bronze Awards for: the Bowling Green Dining Guide (a partnership with College Heights Media, part of the Student Publications Department at Western Kentucky University) in the Booklet or Guide category; the Hot Rodder’s Paradise and Family Fun Content for Digital Marketing; the KTIA Dine Around Post Card for Event/Meeting/Conference Material; and the Welcome to Bowling Green Hotels & Attractions Display for Out-of-Home Advertising. These come just a few weeks after Bowling Green was honored by USA Softball with a James Farrell Award of Excellence for excellence in conducting a 2018 USA Softball National Championship. Bowling Green hosted the USA Softball 14U Class "A" National Tournament at the end of July. 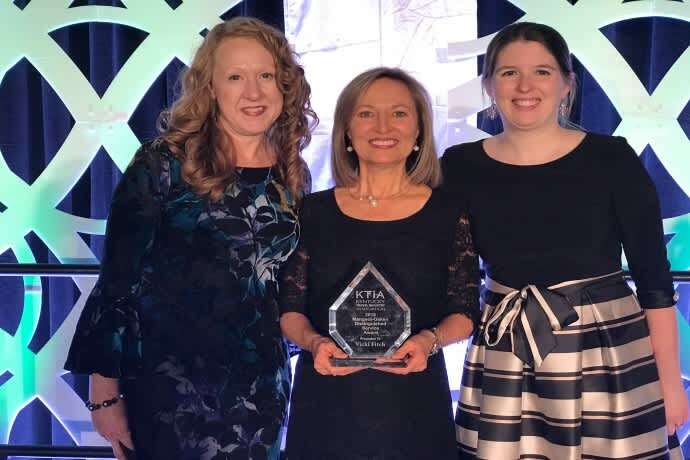 Kentucky travel and tourism businesses and marketing organizations vie for Traverse Awards in 12 categories during the annual competition. The Traverse Awards are judged by a panel of out-of-state travel and tourism industry experts. Award criteria include concept, creativity, results and impact. More than 150 entries were submitted from throughout Kentucky for the 2018 competition. The Kentucky Travel Industry Association represents and serves all segments of Kentucky’s more than $15 billion tourism industry. The industry supports 196,000 Kentucky jobs and generates $1.57 billion in local and state tax revenue. The 872-member association engages in advocacy and provides its members with education, information and business development opportunities. The association also works to inform the public of the enormous economic, employment and tax revenue contributions tourism makes to Kentucky. I am a 2006 graduate of Western Kentucky University, and I am thrilled to be back in Bowling Green as Communications Director at the Bowling Green Area Convention & Visitors Bureau. When I am not helping promote Bowling Green, I enjoy spending time with my husband and young daughter — and I am looking forward to taking her to all of Bowling Green's awesome attractions!